The explosion and fire at the Public Record Office at Dublin’s Four Courts during the Irish Civil War wiped out hundreds of years of records going back as far as medieval times, including most of the census records from 1821 forward thirty years. Who perpetrated the incident on the afternoon of June 30, 1922? No answer has ever been established. 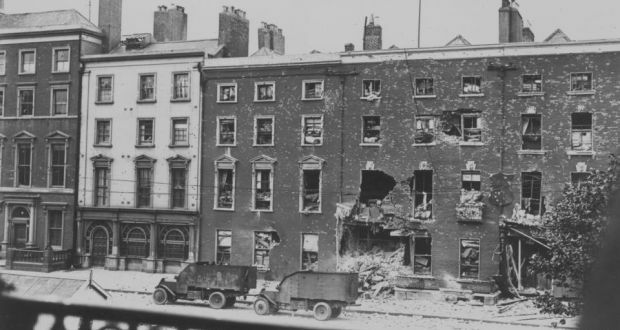 Some blame the national army which was shelling the anti-Treaty forces who were occupying the Four Courts; others believe the anti-Treaty forces deliberately blew up the records in an act of defiance of the new State. Contrary to the general perception though, not all the census records were lost. Now, for the first time, the records which survived will be made available to the public online. They contain partial census records from 1821, 1831, 1841 and 1851. 1821: Some 250,000 census records relating to the counties of Cavan, Meath, Galway and Offaly from 1821 survive. 1831: The 1831 census records for County Derry mostly survived. 1841: the last census before the Famine, a section of the Cavan records survived. 1851: substantial records from both Antrim and Dublin remain intact. Another valuable source of information released are the thousands of pension application forms from 1909. In order to be eligible for the first State pension, you had to prove you were 70 — and that could only be done through the census records. A civil register of births was not introduced until 1864. In total some 629,000 records of the estimated 12 million that were in the public record office before the explosion are now available to the public to view. The project was result of a partnership between the National Archives, FindMyPast.ie and FamilySearch.org. 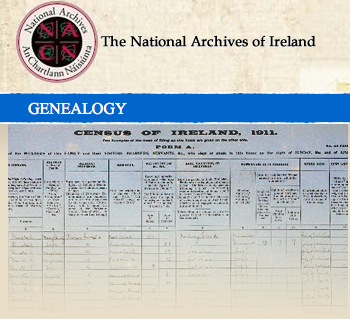 The National Archives of Ireland census page (link below) offers a nice summary of available census resources and substitute sources of information. A nice summary of the situation of Irish census materials is also found in the Irish Roots column of John Grenham in The Irish Times here.